is a postdoctoral fellow at the School of Veterinary Medicine at the University of California, Davis. She is the author of Total Cat Mojo (2017), co-written with Jackson Galaxy. She lives in in Sacramento, California. Human personality theory has long revolved around what we know as the ‘Big Five’ – five dimensions of personality that cover a large swathe of how humans behave across time and contexts. These dimensions are conscientiousness (tendencies to be orderly and rule-abiding), agreeableness (easy to get along with), extraversion (outgoing), neuroticism (tendencies to be anxious, depressed or hostile), and openness to new experiences (creative and artistic inclinations). It’s the consistency in our behaviour in different situations that often teases apart why we aren’t all alike. Just like physical traits, personality traits meet Charles Darwin’s criteria for evolution. First of all, personality traits show variability since the very concept of personality implies that we are all different in specific ways. Second, personality traits are not just influenced by the environment, they are all highly heritable. And finally, in many cases, certain traits make some individuals more likely to reproduce and pass on their genes than others, demonstrating clear fitness benefits. Because human personality evolved, we should expect to find traces of it in other species. But our understanding of animal personality was stalled for years by both the fear of anthropomorphism among animal scientists, and a lack of consensus on how to describe it. Animal personality is sometimes referred to as ‘temperament’, ‘coping styles’, or ‘behavioural syndromes’ (which always struck me as sounding like more of an illness than a way of being). Often, animals are described simply in terms of their levels of boldness and aggressiveness. More recently, however, scientists have started using the Big Five as a framework for the examination of animal personality. Conscientiousness as a personality dimension has multiple facets, and typically describes people who plan ahead, who are organised and reliable, hard-working, self-disciplined, and thorough. It can be difficult to see in other animals: right now, I’m looking at my cats lounging in a sunspot on the couch. They’ve been there all day. They might be reliable, but I’d hardly call them industrious. Perhaps the previous research findings are correct: conscientiousness involves traits that are too complex to attribute to animals, or just can’t be found. But are we just being constrained by our human biases? Are the questions we are asking and the methods we are using really applicable to other species? Most measures of human personality depend on self-report, where humans rate how well statements describe them, such as: ‘I seldom feel blue’, ‘I have a vivid imagination’, or ‘I often forget to put things back in their proper place’. From these responses, you get a separate score on each of the five personality dimensions. And most measures of animal personality are also based on reports, not by the animals, of course, but by their owners or caretakers. By relying on human assessment, are we just trying to determine how animals are like humans, rather than what might define ‘personality’ in their own species-specific world? Wondering if the lack of evidence for conscientiousness in the animal kingdom was due to such potential biases, my colleague, the psychologist Frank Sulloway at the University of California, Berkeley, and I tried a different approach, the results of which were recently published in the journal Psychological Bulletin. We first looked at all the descriptive terms that are commonly used to measure conscientiousness in surveys given to humans. Using this list of 103 terms, we thoroughly searched the literature to see when these terms were used to describe animal behaviour. There are hundreds of examples of conscientiousness behaviours in the animal kingdom, from tidy fish building nests that attract potential mates, to mice who varied in impulse control or their ability to delay rewards. Some insects were methodical in their selection of a location to lay eggs, while others were not; some guide dogs were easily distracted, while others remained focused. Some guppies were ‘reckless’ in their selection of a mate, and cows showed an increase in heart level when they were successful at learning a new task. Conscientiousness in animals doesn’t necessarily look like it does in humans. Bees might not make beds, but they vary in their cleanliness and orderliness. Bees who are better undertakers, removing dead bodies from their hives, experience less disease, and produce more and healthier offspring. 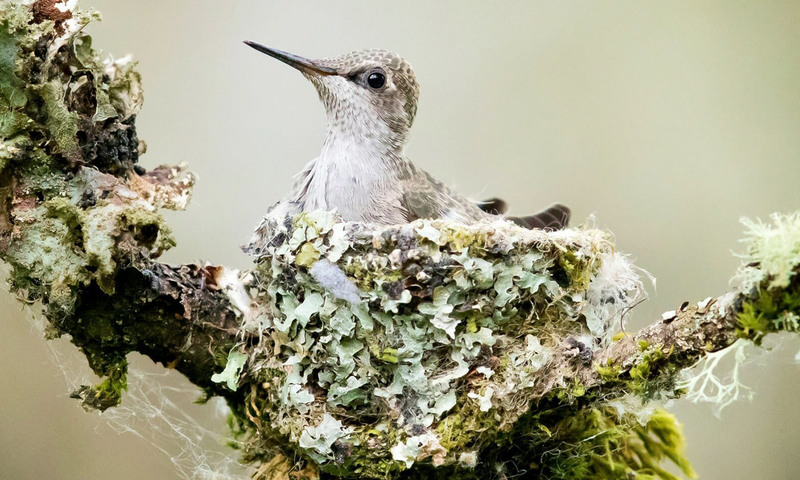 Spiders who construct tidier webs catch more prey, and lazy birds are tolerated because, in times of desperation, they can provide backup babysitting for their relatives. When subjected to statistical analyses, our data pointed to two types of conscientiousness in animals – one type related to orderly, industrious behaviour that was more likely to be reported in birds, and, to an extent, insects. The other type described more competent, achievement-striving behaviour, more commonly reported in primates and other mammals. Some species showed evidence for both types of conscientiousness, demonstrating that, just as in humans, conscientiousness in animals could be multifaceted. However, we didn’t find strong evidence in animals for some aspects of human conscientiousness, such as virtue, traditionalism and self-discipline. These traits often involved a sense of moral obligation, which might just be too difficult to measure in animals, since they cannot communicate their motivations to us. Although we found ample evidence for conscientiousness in other animals, our research was still limited by the fact that our starting point was lexically based, and still dependent on an anthropocentric launching pad. Perhaps we found more evidence for orderly behaviour in birds and bees because that is what scientists expect to find, whereas they might search for more cognitively complex behaviours in animals that we consider more similar to us. What would be an even better approach is an overhaul of how we look at personality in all animals (including humans). We don’t have to throw the baby out with the bathwater, but the self-report questionnaire is limited in its ability to measure the true range of behaviour across the other 8.7 million animal species with whom we share the planet. Instead, the psychologist Jana Uher at the University of Greenwich in London has proposed exploring animal personality using a behavioural approach. This means first determining what problems an individual species has evolved to solve, in regards to contexts such as predation, foraging and social interactions. Once those problems have been defined, behaviours, traits and their variability can be assessed in accordance with these problems. It should not surprise us to find a continuum of all personality traits across the animal kingdom. But what should have surprised us much earlier was the denial of conscientiousness in non-human animals. As much as we like to think we are special and unique, to quote Darwin, the difference between us and other animals, ‘great as it is, certainly is one of degree and not of kind’.